I've said it before and I will say it again and again... Partida makes some great tequila. Not just regular old tequila for shots, but smooth tequila for sipping slowly. I've already looked at their Blanco and their Reposado tequilas, both of which are good in their own right and for what they are. 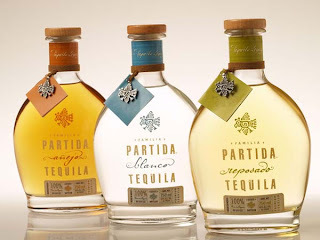 Go check out those reviews to get some background information on the Partida distillery and its history and methods, as well as for some basics about tequila. It's interesting and well worth checking out. But for now, all that really matters is this drink right here, Partida's Tequila Anejo. In the world of tequilas, blancos are like a toddler, rowdy, untamed, and full of life. Reposados are like a teenager, full of promise for things yet to come, with hints of maturity, yet still sharing much of that untamed luster right below the surface (or blatantly in many cases). Anejos, on the other hand, are like a wise old soul. The youth has been replaced with a sense of a life well-lived and full of contentment. Well... at least that's the kind of metaphor I see for the types of tequila. But perhaps that's just the tequila talking. Regardless, Partida's Anejo tequila is aged for a full 18 months. While that may not sound like much time, especially for a scotch or bourbon drinker, that's certainly a long time compared to most tequilas. This time difference compared to the Blanco and Reposado really shows how much aging spirits in wood can add a complexity and smoothness, even with something like Partida that starts out very, very delicious. 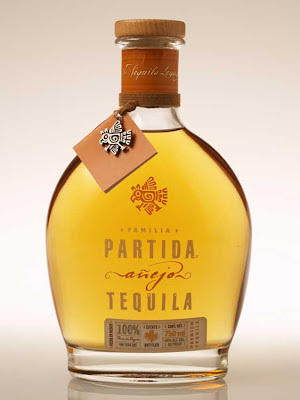 Partida's Tequila Anejo pours a golden hue, resembling many whiskeys. It has aromas of the crisp, clean agave seen in all of Partida's tequilas, but with a sweet oakiness, vanilla, and hints of fruity sweetness. On the palette it shows crisp agave, sweet vanilla, honey, a touch of smokey oak, a limey citrus, and some spices in the finish. The mouthfeel is smooth and clean. This is all of the things I enjoyed about Partida's Blanco and Reposado combined, with the addition of more oak/vanilla notes and a toned down sense of agave. As expected, the finish is smoother than the other two, as well. This tequila is for sipping, no question about it. Tasty stuff. Drink This: if you want a great, premium anejo tequila for drinking neat, with a splash of water, or a couple of ice cubes. It's well worth the money. Don't Drink This: if you are looking for a tequila for shots.